James Longstreet was born in Edgefield District, South Carolina on 8th January, 1821. After graduating from the U.S. Military Academy at West Point in 1842 he joined the United States Army and saw action in the Mexican War (1846-48). 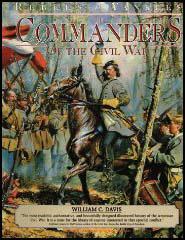 On the outbreak of the American Civil War he joined the Confederate Army and commanded the 4th Brigade at Bull Run (June, 1861). He also led his men at Fair Oaks where he was criticised for making serious mistakes during the battle. He fought well at Antietam (September, 1862) and afterwards was promoted to the rank of lieutenant general. He also led his men at Fredericksburg (November/December, 1862), Chancellorsville (May 1863) and Gettysburg (June/July, 1863). Longstreet was seriously wounded during the Wilderness Campaign but resumed command in November 1864. Longstreet was with Robert E. Lee had surrendered to Ulysses S. Grant at Appomattox on 9th April, 1865. After the war Longstreet controversially joined the Republican Party and served as U.S. minister to Turkey (1880-81). 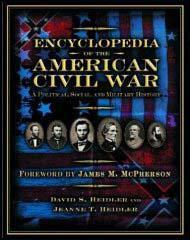 Longstreet's memoirs, From Manassas to Appomattox, was published in 1896. He also served as commissioner of Pacific Railways (1898-1904). James Longstreet died in Gainesville, Georgia, on 2nd January, 1904.